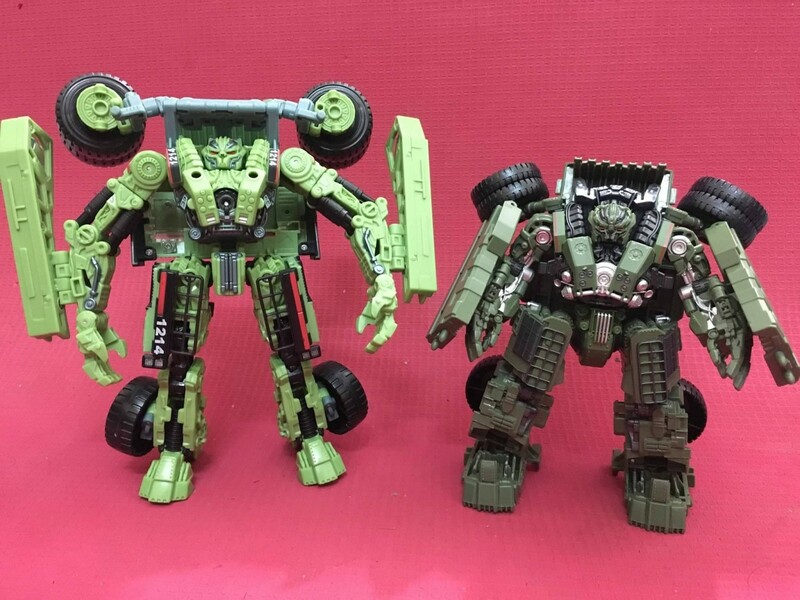 Thanks to Seibertronians Nathaniel Prime and Hellscream9999, we can see one of our first in-hand images of Studio Series 37 Voyager Class Long Haul, not counting pictures taken at 'Cons and the like. This image comes to us from TransFans on Facebook, and they compare the new figure to the ten year old Revenge of the Fallen Voyager Class toy. While some may argue the original toy is still good, you can't argue that the new Studio Series is more accurate and better proportioned to the in-movie model. Unfortunately, the toy is shorter, but is more stout. Of course, the new figure can combine with the rest of the seven Constructicons to form Devastator. And if you would like to see some great images of the original Revenge of the Fallen Voyager Long Haul toy, and maybe see how far HasTak has gone in ten years, check out the gallery below! Be sure to drop off your thoughts in the Pub forums too! Hot damn he looks pretty good! He’s gonna be a big boy when he’s all put together. I really like How they've done the Shoulder Tyres and the Sharper, more angled Alt Mode. And is that a Waist swivel I detect hidden away there? Top Show! The size difference between him and the Original, Or Transformers in general for that matter, Doesn't matter to me at all. So long as the figures are awesome,Well articulated and inspired I'll love them. Any Chance of him showing up in Australia? Barricade can close up nice and tight. He just takes a bit of finesse to get EVERYTHING in just the right spot, but it can be done. I had a lot easier time getting Barricade lined up than say, VW Bumblebee, which is still a nightmare for me to perfect transforming. My only issue with Barricade is that one of his black rubber wings came bent right out of the package. I haven't had time yet to fix it with a hairdryer. I've read that some people have had issues with the clear plastic on Barricade breaking. Has anyone here experienced that? I do want to get SS Barricade but not if he's going to break. PLEASE DO NOT USE A HAIR DRYER ON YOUR TRANSFORMERS! The heat from a hair dryer can get to melting point. If you need to fix bent rubber or soft plastic pieces, use boiling water which is not hot enough to melt plastic. If you do need to use a hair dryer, please use with extreme caution. Boiling water is preferred in this scenario. Prime Target wrote: Any Chance of him showing up in Australia? Sure, wont be out for a few months though. Finally found me a Rampage today. No complaints here. Same as you all, can't wait to be able to get them all together. I'm ok with that stubby longhaul. I'm more of a boot-cut guy anyways. No skinny jeans. Oh, and for some reason today I also picked up battle damage Megs. Are there enough differences to justify buying him? Probably not, but I have an addiction. Take that wallet! In fairness I've warped figures by accidentally boiling them too long as well so I don't think there's really a "safe" way of doing it, just use caution and do whatever you feel most comfortable with. Who's a cute boy, who is, yes you are Longhaul. I love him, have a softspot for those big CAT dumptrucks. Have both ROTF Long Hauls and they are pretty cool, but this one is better. Looking nice! 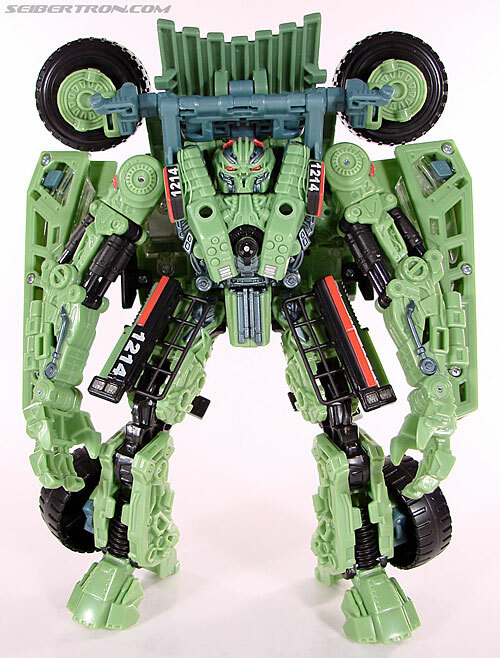 I definitely want him, but I'm tempted to track down ROTF Payload as well as a "big brother" to him. IMO the old mold, for all its inaccuracies, still looks really cool. Black Hat wrote: Looking nice! 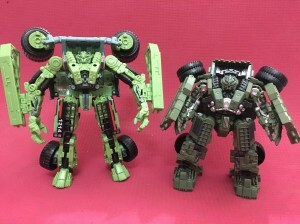 I definitely want him, but I'm tempted to track down ROTF Payload as well as a "big brother" to him. IMO the old mold, for all its inaccuracies, still looks really cool. I can totally see where you are coming from, what makes it even harder to resist is that ROTF had clones of half the Constructicons members, so you could justify having copies of the same character! I was out and about, spotted the SS 31 Megatron (battle damaged) at a couple of Targets here in my AO. Also wanted to joyously show an empty SS OP (bumblebee movie). This was the same Walmart that I spotted one that had been opened and the weapon taken out. Who knows maybe they put it back out and they came back to finish the job, lol. He probably just escaped because there were too many Megatrons. To get reinforcements of coarse. Thought the name they use for Rampage on Amazon Japan was pretty funny. Nemesis Maximo wrote: Thought the name they use for Rampage on Amazon Japan was pretty funny. SGMLordMirage wrote: I was out and about, spotted the SS 31 Megatron (battle damaged) at a couple of Targets here in my AO. Also wanted to joyously show an empty SS OP (bumblebee movie). This was the same Walmart that I spotted one that had been opened and the weapon taken out. Who knows maybe they put it back out and they came back to finish the job, lol. Seems like there's been a lot of that and toy swapping going around recently. Anyways, Long Haul looks really good. I like the more compact look he has going for him. I can also easily see him being retooled into TLK Onslaught. Also,picked up SS Cogman recently. Nice to have a version of that guy that I could finally find at retail. Can’t wait to see Long Haul as well. Speaking of TLK Onslaught, would be nice if we got the remaining Decepticons in the Studio Series line. Anyways, I know there is a lot more involved with licensing/trademark,, and such between names and manufacturers of the vehicles/bike. Things like that, oh well. It's a good thing I don't have an ROTF Long Haul, but instead, I have Payload! It's perfect!